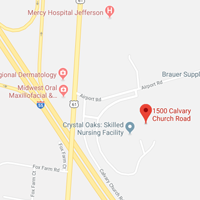 The Oaks Rehabilitation Center team is comprised of dedicated professionals and staff who are focused on providing excellent care in a quality, healing environment. Our professional services team is generally comprised of registered nurses, licensed practical nurses, certified nursing assistants, social workers, and physical, occupational, and speech therapists. If you are interested in joining our team, please fill out and submit the appropriate form and we will be happy to discuss the opportunities we have available that are commensurate with your skill set, experience and interests. Click Here for Background Check Withholding Form.